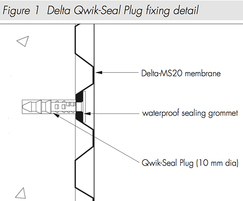 DELTA® MS 20 is an HDPE, dimpled membrane with 20mm studs designed as a seepage layer for damp-proofing applications. 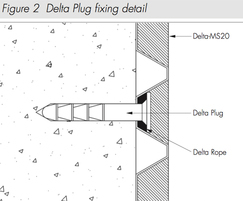 DELTA® MS 20 is used to waterproof floors, walls and vaulted ceilings where high drainage capacities are required in both above and below ground applications. 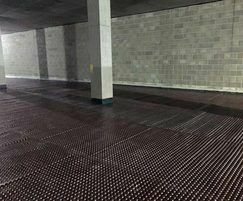 Supplied in 2m x 20m rolls, DELTA® MS 20 can be applied as horizontal or vertical permanent shuttering between shotcrete shells, curtain walls and concrete structural walls. 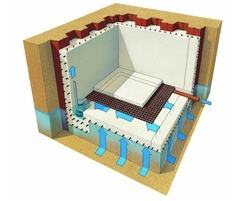 A dry lining for ventilated walls where access through an external wall is available. DELTA® MS 20 membranes are compression resistant, durable dimpled sheets made from HDPE. They resist degradation in soil and chemical attacks and are non-polluting to drinking water. Compressive strength: 150 kN/m2 approx. 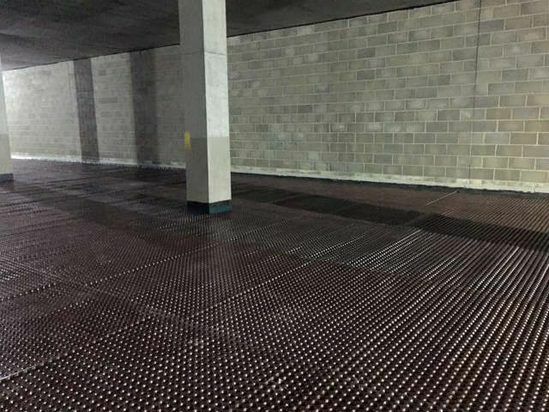 Waterproofing membranes – virgin or recycled plastic?